agreed to move down 20 spots in the second round and part with a 2011 third-rounder to acquire Whitehurst from San Diego. According to the NFL Draft Value Chart, that package was worth about the last pick the in second round. In addition to that high compensation, Peter Carroll and Company promptly awarded their new acquisition with a 2 year, $10 million contract. Second round pick, large contract. Sounds like an investment in the future starting quarterback. So what’s the catch? Oh yeah: Whitehurst has never attempted a single regular season pass! It’s obviously very surprising that Whitehurst could command such value. Sure, any quarterback drafted by Seattle would also be an unproven commodity, but that seems like a lot to give up for a guy who’s been in the league for 4 years and hasn’t shown anything. I have mixed feelings about what this move means for the Eagles’ QB trade hopes. First, Seattle has pretty much taken themselves out of the quarterback market with this move. Whitehurst seems like he’ll be the quarterback of the present and future, with Matt Hasselbeck probably looking to the exit. Seattle was a hot possibility for one of the Eagles QBs, and this move makes some sense since they were rumored to be more interested in Kevin Kolb than Donovan McNabb. Whitehurst is basically a less talented, less accomplished version of Kolb. And while Seattle is no longer calling the Eagles front office, they are also probably not looking to spend more money on another unproven quarterback early in next month’s draft. That means one less suitor for the Eagles and one more prospect who might fall to another team (the Bills? ), eliminating them from trade contention as well. However, the high price Seattle was willing to pay for an unproven commodity (and supposedly hot market for Whitehurst) shows that the Eagles aren’t necessarily overvaluing their quarterbacks. 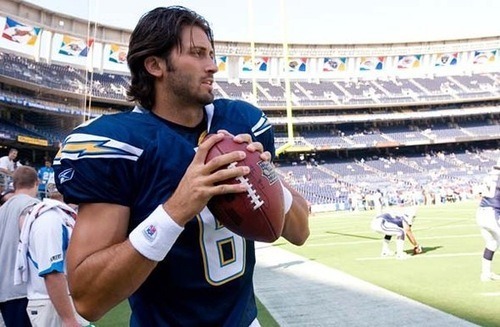 If Whitehurst is worth a #2 and $10 million, anyone interested in McNabb, a proven Pro Bowl QB, has to start talking about giving up at least a 1st rounder. The Cleveland Browns were another team interested in the Eagles QBs. Over the last week, though, they’ve completely retooled that position. Mostly they kicked out two bad quarterbacks (Brady Quinn and Derek Anderson) and replaced them with two who don’t look a lot better (Jake Delhomme and Seneca Wallace). That reads to me as though Cleveland still really wants to take a quarterback in the draft. And with two mediocre quarterbacks to take snaps during the rebuilding process, maybe the team could take a chance on a project like Tebow. I’m not sure Cleveland was ever really a great spot for McNabb or Kolb. When two teams make a deal for a player, you need a certain amount of imperfect information. In other words, the two teams have to value the players differently, and therefore both think they’re getting a good deal. In theory, Heckert and Andy Reid know the Eagles QBs so well, they won’t be able to make a deal they’re both happy with. The Browns’ moves have other, reverberating effects throughout the NFL. Derek Anderson signed with the Cardinals to back-up and/or challenge Matt Lienart, eliminating Arizona from any McNabb discussion. Brady Quinn to the Broncos means Josh McDaniels has found his long-term quarterback. Doubt Denver will be looking at guys like Jimmy Clausen with their 1st round pick. Tagged with 2010 NFL Draft, Andy Reid, Brady Quinn, Charlie Whitehurst, Cleveland Browns, Denver Broncos, Derek Anderson, Donovan McNabb, Jake Delhomme, Kevin Kolb, Matt Lienart, Mike Holmgren, NFL, Pete Carroll, Philadelphiea Eagles, Quarterbacks, Seattle Seahawks, Tom Heckert, Trade Market, Trade Value, Featured. March 19, 2010 by Brian Solomon.